Celery (Apium graveolens): growing, planting, caring. Easy to grow - and delicious! Apium graveolens L. celery, also called "swamp parsley", is a herbaceous biennial from the Apiaceae family, often grown in vegetable gardens for its leaves and roots, eaten as vegetables. We distinguish 2 large families of celery: Apium graveolens var. dulce, the stalk celery or ribbed celery, whose stalks we eat, and Apium graveolens var. rapaceum, celeriac or turnip-rooted celery, which we eat only the root. Two other varieties to note: Apium graveolens var. graveolens, wild celery, and also Apium graveolens var. 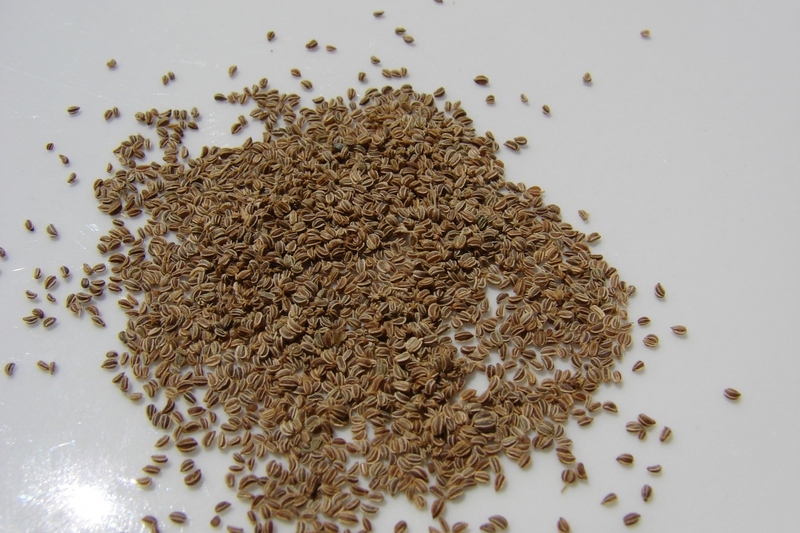 secalinum, leaf celery or Chinese celery. Sow the celery in a pot under a cold frame (at 15°C) in March-April. Germination is slow and capricious! In order to sprout, the seeds need constant moisture. Cover the pots with several layers of well moistened newspaper until the plants fully sprout. Transplant young seedlings sown under cover, after six weeks, in individual buckets. If possible, repeat the process again for celery root. Maintain high substrate moisture to promote recovery. Transplant the young seedlings sowed under shelter six weeks later in individual pots. If possible, repeat the operation once again for celeriac. Maintain a high moisture level of the substrate to encourage recovery. Plant celery plants in open soil from mid-April until the beginning of June according to the climate - in any case, after the last severe frosts. Leave 30 cm between each plant in all directions. 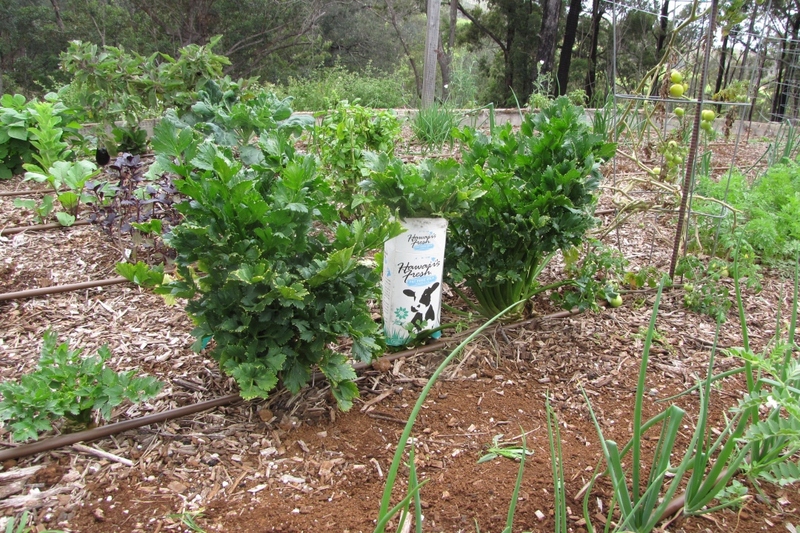 Celery needs a rich soil which must be enriched before planting. When transplanting celeriac in open soil, remove the end of the main root. 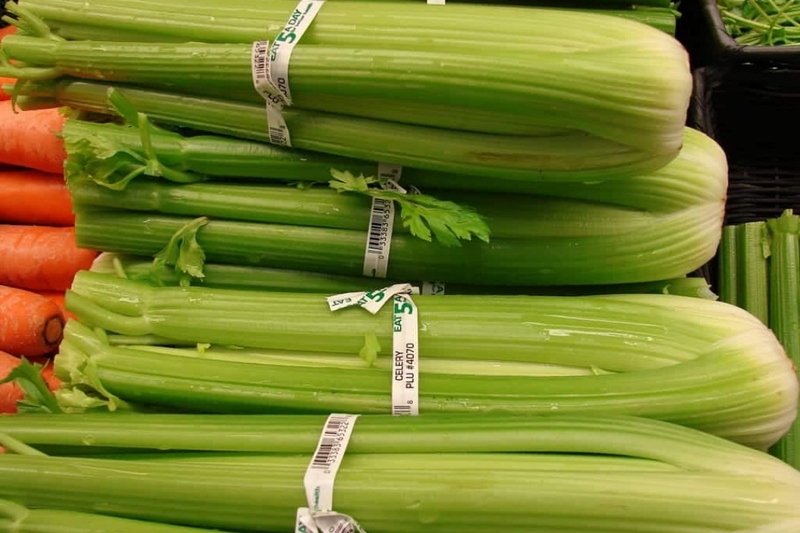 Careful, celery robs the earth of its richness. 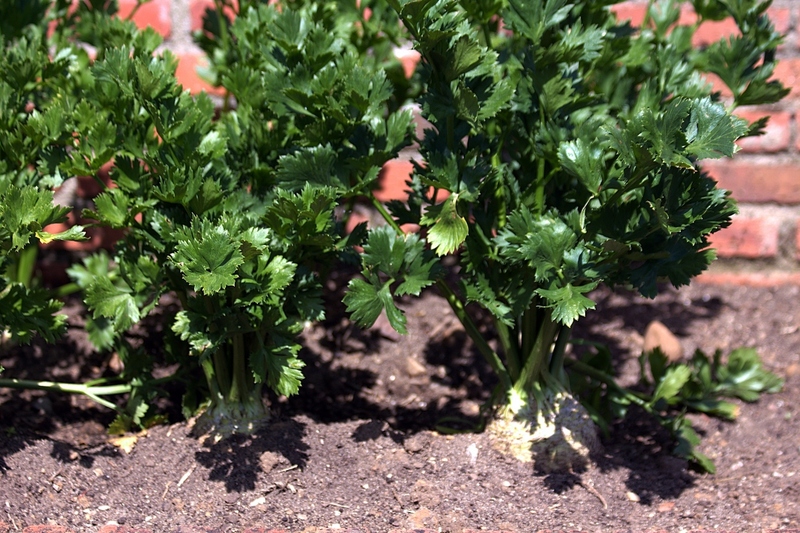 Avoid replanting celery in the same place for 4 years in order to let the soil become fertile again. Mulch considerably at the end of June - you will avoid the chore of watering too often! And starting in mid-October, before the first frost, surround ribbed celery with a thick layer of dead leaves. Water regularly especially in the event of heat as its water needs are considerable. If the celery is lacking water, it might go to seed. Careful, celery loves water, but not on its foliage. It it very sensitive to septoria blight, a disease which "rusts" its leaves. Thus, water the base in the morning. In the case of celeriac, at the end of summer, in order to accelerate turnip development, cut the leaves and the roots which grow in excess around the main root. For ribbed celery, at the end of summer, gradually "blanch" them according to your needs by wrapping them with a thick sheet of cardboard for example to deprive them of sun. Harvesting ribbed celery is carried out between 6 and 7 months after sowing, normally between August and October-November. Before harvesting, you must "blanch" them: bring all the stalks to the center by binding them with a mound of soil, about 3/4 of their height. Harvesting celeriac starts in autumn: store them in a cool spot for several weeks or leave them in open soil, removing according to your needs during winter. It is still advisable to remove them from the ground before the first frost. Cultivate celery with tomatoes, cauliflower, beans, and leeks.